Metro Transit’s latest set of proposals for next September’s bus service changes reflect feedback heard from the community last fall. Now, Metro is seeking a second round of input to shape the final September plan that will be submitted to the King County Council later this spring. With the current set of proposals in Ballard, Metro wants to make transfers easier, improve bus connections in North Seattle, and avoid duplicating service on the RapidRide D Line when it begins in the fall. But, Metro is proposing to retain some trips on Route 15 Express to prevent bus overcrowding in this corridor during peak periods. Routes 17 Express and 18 Express will also retain their current routings to complement this change. 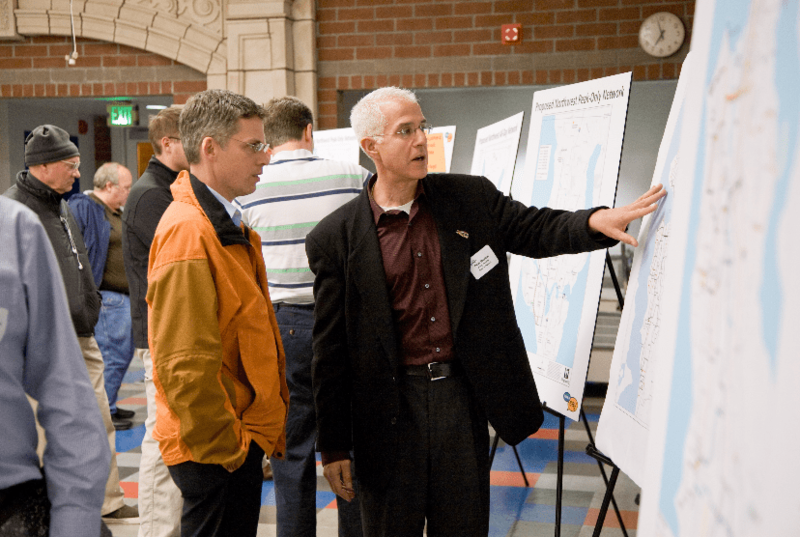 During public outreach in November, Metro suggested replacing Routes 26, 28, and 30, and revising Route 28 Express as part of a package of related changes in North Seattle. Metro also suggested revising Route 5 to use Fremont Avenue North and Dexter Avenue North, and replace Route 26 with alternate service. Metro has decided not to move forward with these changes now, but will consider making changes in this area with the launch of RapidRide E Line in 2013. For the current proposal, Metro has also made some revisions to Route 30 and the planned routing of new Route 32 to Uptown via Fremont and Wallingford. People will have an opportunity to comment on the newly revised September service proposals during the second round of public review that is now underway. You can submit comments by attending one of several meetings and information tables Metro is hosting, or filling out an online survey. To learn more about the proposals and ways to speak up about the changes, visit: www.kingcounty.gov/haveasay.